SAN FRANCISCO, Calif., October 9, 2017 — Purism, the social purpose corporation which designs and produces popular privacy conscious hardware and software, has reached its $1.5 million crowdfunding goal to create the world’s first encrypted, open smartphone ecosystem that gives users complete device control, the Librem 5. After amassing incredible support from GNU/Linux enthusiasts and the Free/Open-Source community at large, forging partnerships with KDE and the GNOME Foundation in the process, Purism plans to use the remaining two weeks of the campaign to push for its stretch goals and start working on the next steps for bringing the phone to market. 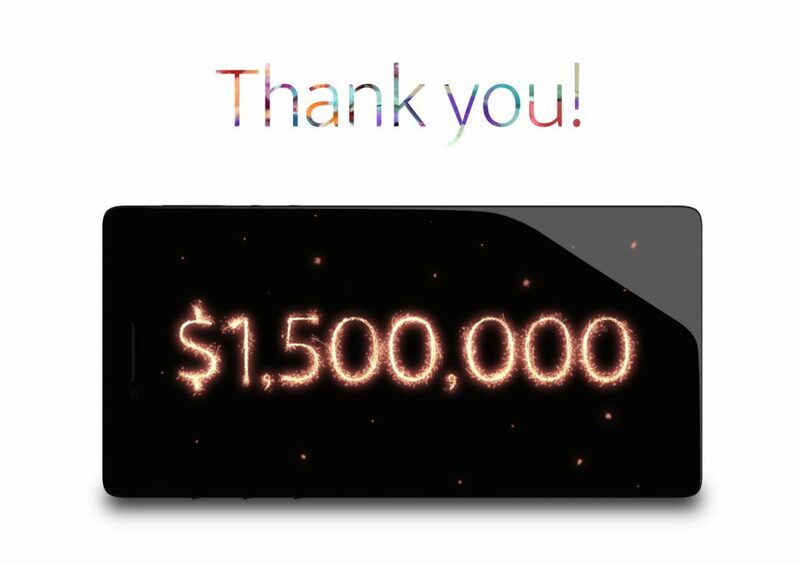 Reaching the $1.5 million milestone weeks ahead of schedule enables Purism to accelerate the production of the physical product. The company plans to move into hardware production as soon as possible to assemble a developer kit as well as initiate building the base software platform, which will be publicly available and open to the developer community. Breaking away from the iOS/Android OS duopoly, the Librem 5’s isolation-based security-focused PureOS will offer basic communication services: phone, email, messaging, voice, camera, browsing, and will expand after shipment and over time to update with more free software applications, through shared collaboration with the developer community (not “read-only open source”, but true free software collaboration). In addition to the ability to integrate with both GNOME and Plasma Mobile, the $599 Librem 5 will come equipped with hardware kill switches, a popular feature in Purism’s laptops, that allow for users to turn on and off the camera, microphone, WiFi and Bluetooth at will. LOVE my @Puri_sm Librem 13 and now the Librem 5 phone is happening. It's a great day for #privacy and #security. Go and support the effort!